What have we been playing with? 1. Painting/Stamping with Spring Cookie Cutters. Granted this turned into mostly finger painting but it was still fun and festive! 2. 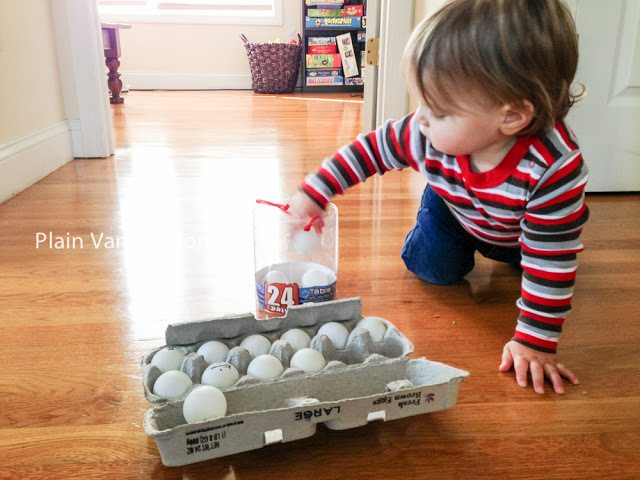 Ping-Pong Balls & Egg Cartons. Ok admittedly I’m digging through the archives for this one because we really did a lot of Easter themed play this week and since Easter has passed I thought I would see what I could dig up that I hadn’t shared before. I actually forgot about this activity. It was a huge hit. Once he discovered how well the ping pong balls bounced around the house though he abandoned the egg carton. All the same, he was entertained for awhile at least. 3. 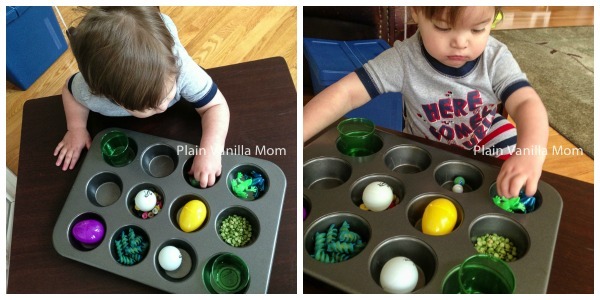 Muffin Tins Sensory Tray. 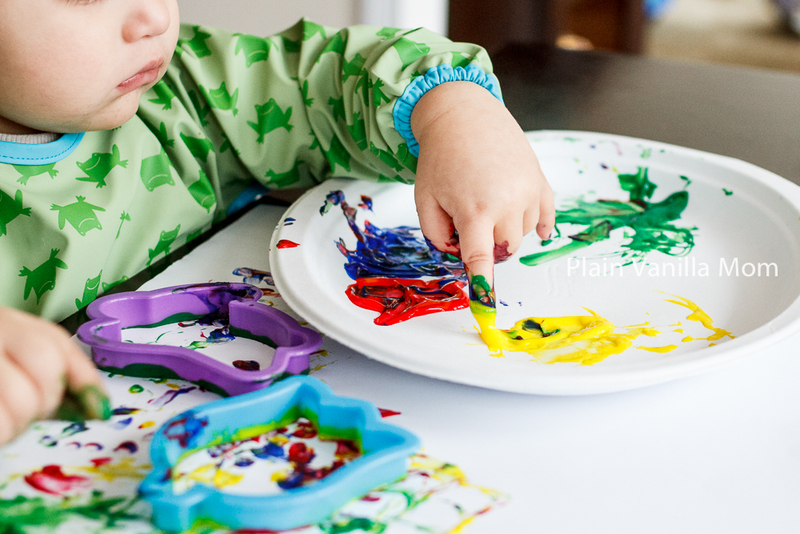 This activity was so easy and fun to make. 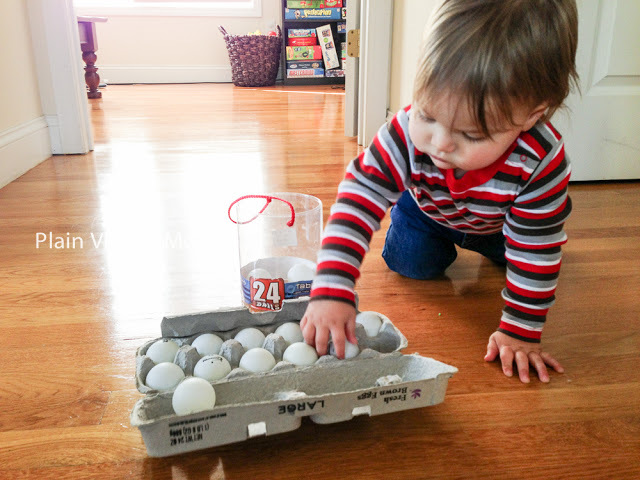 I just looked around for whatever I could find that might be interesting to fill the trays with and put it out to see how he would play with it. The possibilities are endless. 4. Buttons & Muffin Cups. Pretty self explanatory. 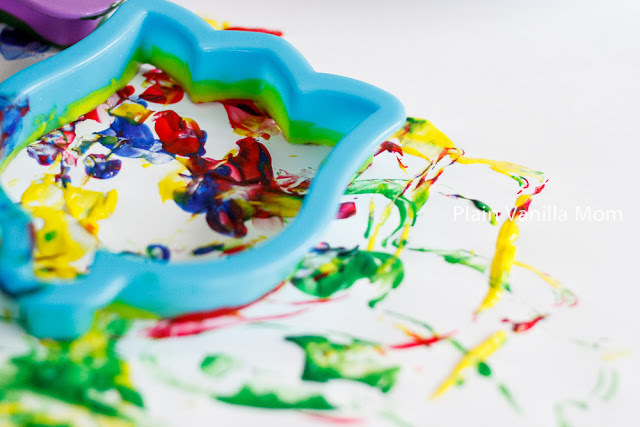 You could use muffin tins like the ones we used for the muffin tin sensory trays, or individual silicone muffin cups as we did in the picture below. Many times I’ll take an activity or a material we’ve used before and just change an element or two. 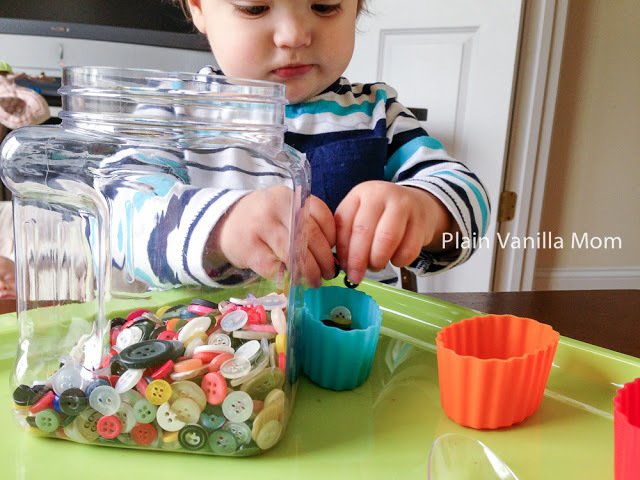 For example, we’ve done buttons and jars before but never muffin cups. See! Brand new experience. This was a hit because one of Mr. C’s favorite activities right now is putting objects into containers. Looking for more simple, fun & educational play ideas. This post is part of our Weekly Playlist Series. Check it out! Remember, you can find us and Follow us on Facebook and Twitter if you aren’t already, and we are on Pinterest too!